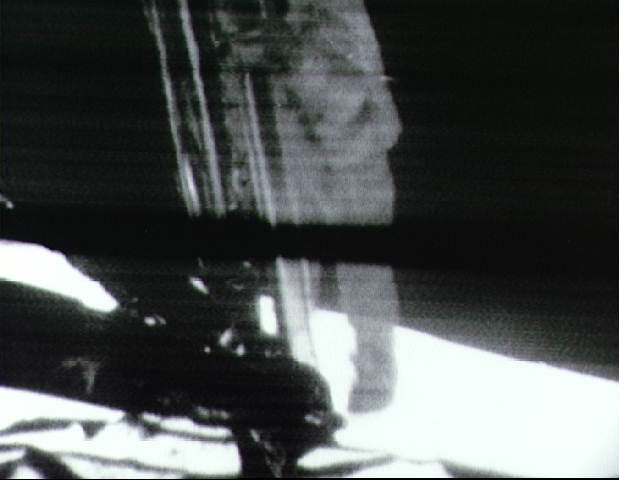 Like many people, the earliest event (I think) I remember is Neil Armstrong climbing down a ladder, jumping off the end, slightly botching his lines but being the very first human being to set foot on another world. That was more than 43 years ago but the shocking fact remains that only 12 people have walked on ground that wasn’t Earth’s, all of them only went to the Moon and no one has done this for more than four decades. Neil Armstrong died a couple of days ago. It brings into focus how long ago the Moon landings were. We went from the first powered flight in 1903 to the first flight over the Atlantic in 1927 to the first Moon landing in 1969. And then nothing. The pace of progress in the modern world is often frightening. I look at my android phone and think in many ways the future has arrived early, but there’s a gaping hole in all of this and it’s that we haven’t colonized the solar system. Now we’re probably looking at 2050. Does it matter? I want to shout an enormous “YES!” from the rooftops. The very survival of humanity as a species depends on it. That’s a simple statement of fact. There’s a proverb that it’s best not to keep all your eggs in one basket and right now all the humans in the universe are either on or flying around planet Earth. 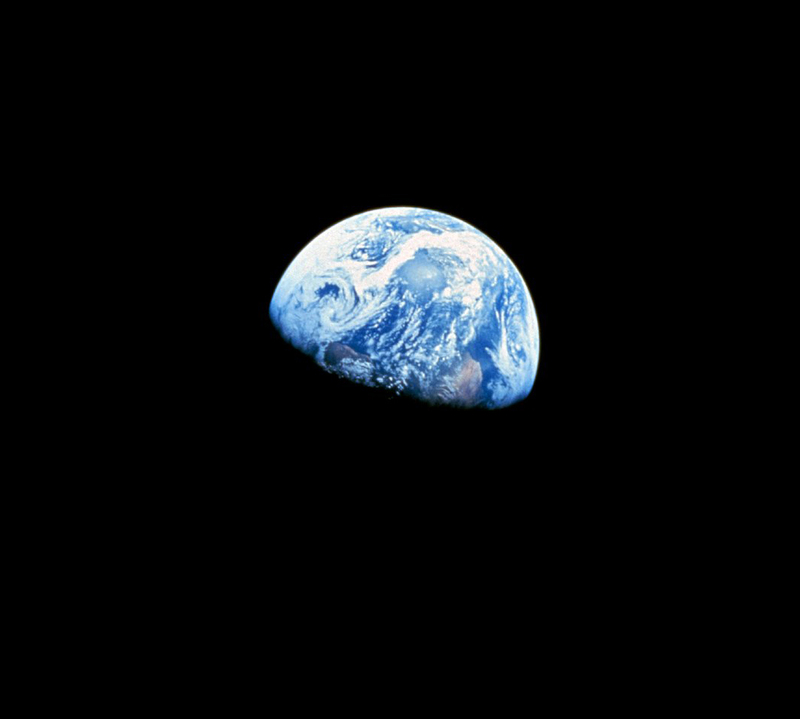 It’s when you view the photos of our world from the Apollo spacecraft that you realize just what a fragile basket we inhabit. If something happens to this one, island Earth, then that could be curtains for us. What sort of thing do I have in mind? Well, I’ve published a book on Global Catastrophic Risks so if you’re interested you can take a look. But if we don’t get off-planet it is a mathematical certainty that humans will one day become extinct. I don’t know anything about Meacher’s ideas on sustainability but the incorrect assumption in the statement annoyed me – that we are in an “unsustainable bubble”. 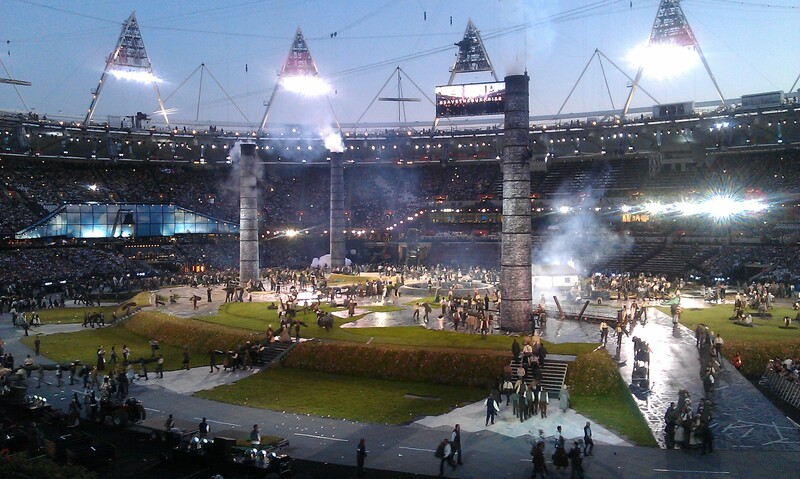 Since the Industrial Revolution, gloriously portrayed in Danny Boyle’s recent Olympic Opening Ceremony, we have embarked on a path of economic growth. We have gambled humanity’s future by mining over the course of a few decades, resources that took millions of years to create. Was it a gamble worth taking? I would say yes because we have become immeasurably wealthier as a race. For instance, if you’d given people blueprints for the Space Shuttle in the middle ages, it would have been impossible to build one, not because the plans couldn’t in time have been understood, but because they couldn’t afford it! Similarly for cures for polio or smallpox. But the resources we greedily consume cannot last for ever, so it might seem on the surface that Meacher is right. If you view the Earth as a closed system in game theory terms then he would be. In what’s known as a “zero-sum game”, not everyone can keep winning – for the upside of what we take from the planet there will be a price to pay – a downside – later on. Stick to Earth and we are living in unsustainable times having already mortaged the future for our descendants. But there is an alternative. There is vast wealth waiting for us in space, in terms of both energy and materials. The sum of the game is no longer zero – it is effectively infinite and to reach out and grasp it is a win–win “for all mankind”. The choice before us is clear: (a) we can either continue with space exploration, develop fabulous new technologies and expand into and exploit the resources of the solar system (and hopefully beyond); or (b) we can turn our back on space for ever, rein in our development and try to live in a sustainable way within the finite means of just this one planet, in a depressing era of ever-diminishing returns. As a species there can be no standing still, no stable equilibrium: either we progress or we’ll begin to decline. My sense is that we only have one shot at this. We have already used up so much of Earth’s resources that if we were to quit now and decline into some sort of pre-industrial era for a millennium or three, it will be far harder for humans (or whatever was to come after us) to begin again and reach for the stars. 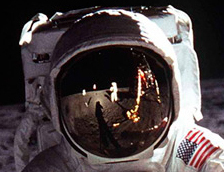 After Apollo was prematurely cancelled, America reined in manned space exploration. I sense that the tide is turning and hope that it’s not already too late. The next flag on the Moon is likely to be Chinese or Indian, but while it is partly a matter of national pride, these nations are trying to go because they realize it is also an economic necessity. Armstrong’s great legacy was that he inspired a generation of humanity to reach for the stars. Now he’s gone it’s up to those of us he touched to argue the case. As a child after the Apollo landings I didn’t want simply to be an astronaut – I expected to one day command a Moonbase. Now I shall argue all I can for one to be built within my lifetime. ~ by keithmansfield on August 27, 2012.